When we think about the most dangerous wild animals, the image that forms in our mind would be that of a creature with gnashing teeth, piercing claws and with dangerous blood thirsty eyes. However, this might not always be true. Even the most feeble looking, harmless and innocuous looking creatures can turn out to be the most harmful ones. It is hard to distinguish between naïve and ferocious creatures. Many of the cutest critters also turn out to be the most prolific killers. So it is better to do your research when going out hiking or swimming in nature! So, here comes the list of the top 10 most dangerous wild animals in the world, beginning with number 10. Hippopotamus are mostly herbivores. Nonetheless, they can be extremely violent and aggressive. Think twice if you think that hippos are the couch potatoes of the animal kingdom. They have been regarded as one of the most dangerous animals in the world. Even other dangerous animals such as crocodiles and alligators won’t mess with them. They kill for defense purposes. The sheer size of the animals, as well as their enormous sharp teeth, make them a formidable enemy. They can be 17 feet long and weigh nearly 10,000 pounds. They are extremely aggressive and territorial and will attack anything that ventures into their stretch of river, including boats. When on land, they will run for the water if alarmed, and anything that gets in their way will be mown down, humans included. When most animals are wounded, they run away and hide. Not leopards. When these dangerous creatures are injured, they become even more dangerous. Scared yet? Not only that, but they’re immensely strong. Anyone who has watched the Discovery Channel knows that they like to hide their prey out of reach. 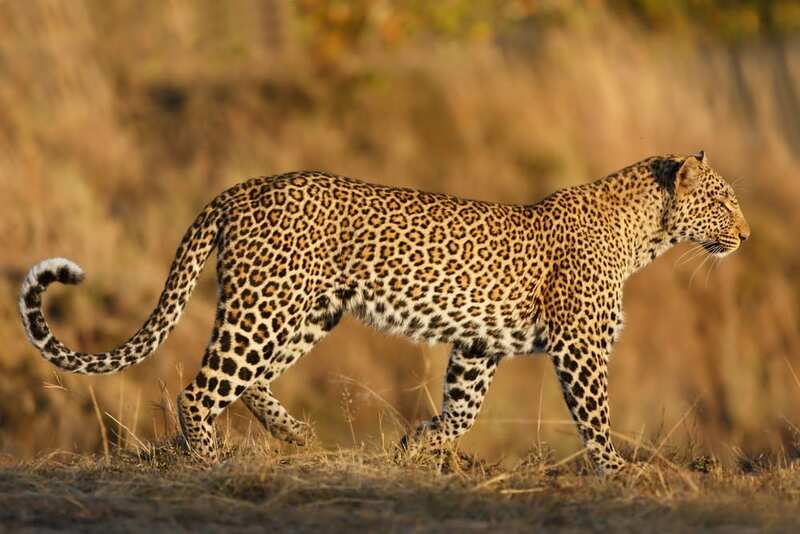 The leopard, a member of the big cat family, is known for its powerful body, climbing ability and spotted camouflage. Generally speaking, leopards are more dangerous to humans than lions! Leopards are far more silent and unexpected hunters, humans are good prey for their body size and they feel absolutely comfortable as solitary hunters. This all together make them more dangerous. 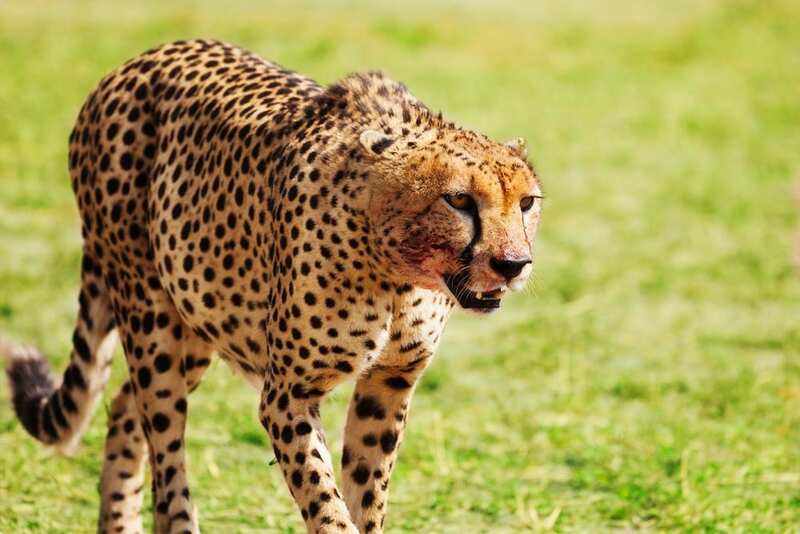 Cheetah is the fastest animal in the big cat family and mostly found in Africa and middle-east. With their stealth and power they can stalk their prey for long distances, and upon catching their prey, they tend to hide it on top trees away from other animals. They can reach a top speed of around 113 km per hour in a few seconds. A cheetah has incredible eyesight during the day and can spot prey from 5 km away. The Cheetahs’ ability to run starts with their flexible spine, which allows their front legs to stretch far forward on each stride, in other words, it runs like the wind. They eat the meat (not usually the skin or bones) of antelope, birds, rabbits, porcupines, and ostriches. Don’t let these furry creatures fool you. Unlike most other animals on this list, the world’s largest carnivore is not afraid of you. It has no natural predators and will eat anything that is even slightly meaty, including other polar bears. Although they don’t kill humans, it’s probably because there aren’t many of them around to kill! 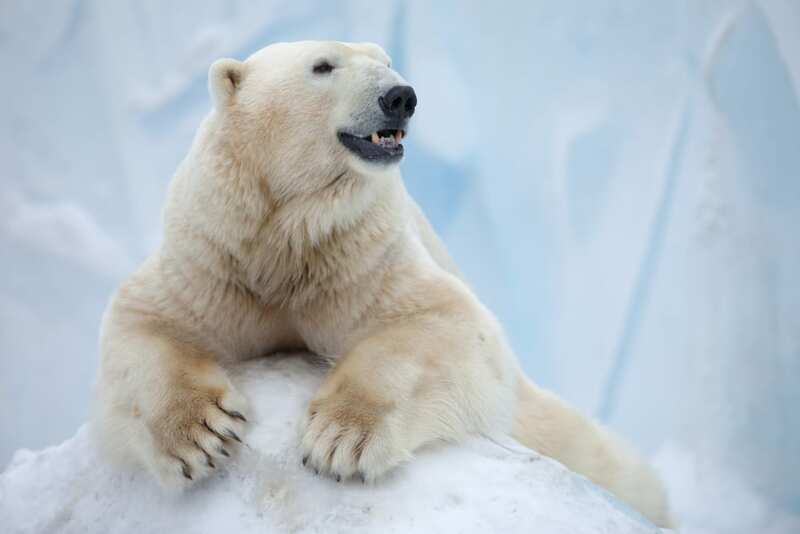 The Polar bear is twice the weight of a Siberian tiger. Most adult males weigh from 400 to 600 kg. They have an excellent sense of smell, eyesight as well as hearing which helps them survive in the adverse cold conditions of Arctic. 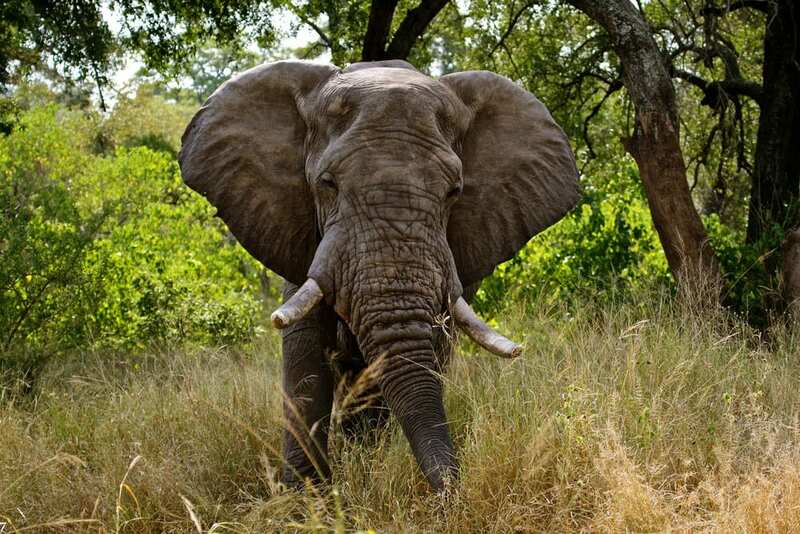 Apparently the largest land mammal on earth, the African elephant weighs up to eight tons. The elephant is distinguished by its massive body, large ears and a long trunk, All African elephants, including females, have tusks. African elephants, especially older bulls and young males, can be aggressive even when they’re not provoked. Most deaths occur by the elephant trampling their victims to death. In places where poaching is rife and/or the elephants’ habitats are threatened, elephants are more aggressive. Elephants attack without warnings; they can kill other animals and also come to rescue other animals when they are in danger too. There are many cases where elephants have killed their trainer and zoo keepers too. Weighing around 7,000 kg and with a 13 feet height, it is better not to agitate them. The humongous scary looking horn speaks for itself. Rhinoceroses are universally recognized by their massive bodies, stumpy legs, and either one or two dermal horns. 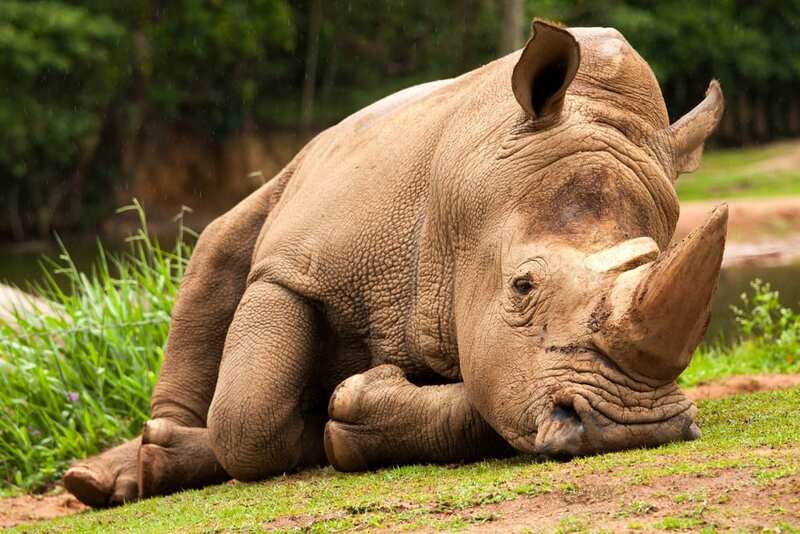 Rhino related deaths are not an uncommon occurrence in many parts of the world. Having terrible eyesight, they are easy to startle, and once they have you within their sight, it can be hard to make an escape (unless you can run faster than 40 mph). Rhinoceros are big, fast and formidable fighters—when they want to be. When they feel threatened, they’ll steer their large, dangerous bodies directly toward a fight. You might expect them to use their horns as weapons, but they use their lower incisors, as well as their formidable size and speed: an incensed rhino can knock over a vehicle with people inside. 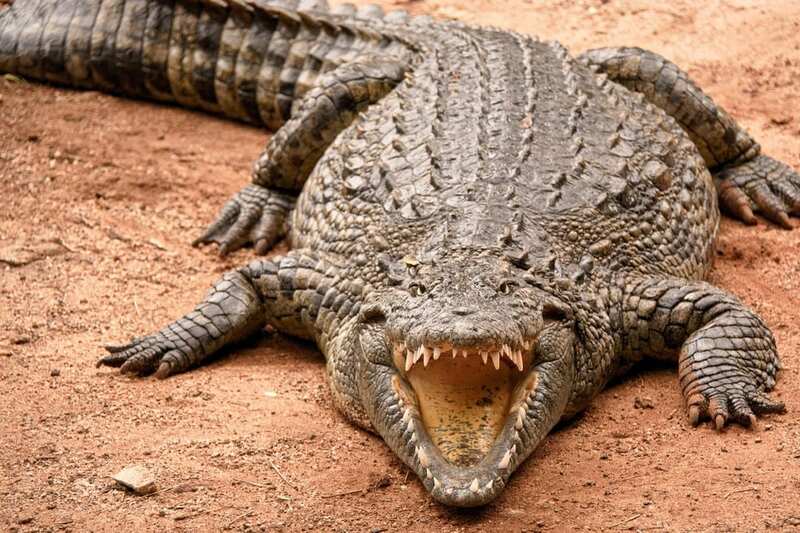 Among the 23 recognized species of crocodilians, the saltwater and Nile crocodiles are the most deadly creatures. Being the largest reptile in the world, these kill hundreds of people a year. The crocodile lives throughout the tropics of Africa, Asia and Australia in slow-moving rivers and lakes. Its eyes, ears, and nostrils are located high on the head, which allows a crocodile to see and hear its prey. Ranging from 5 to 20 feet long, they kill up to 800 people annually. And the non-fatal attacks may also be debilitating. The saltwater crocodile is fast and sturdy, whose jaws can apply 3,000 pounds of pressure per square inch! ‘Salties’, as they are known, will pull their victims to the bottom of a river and roll them around until they drown before eating part of them. The hyena is Africa’s most common large carnivore. Weighing from 90 to 190 pounds, they are reputed to be cowardly and timid but can be bold and dangerous, attacking animals and humans. Different from most other animals, female spotted hyenas are dominant over the males and outweigh them by about 3 pounds. 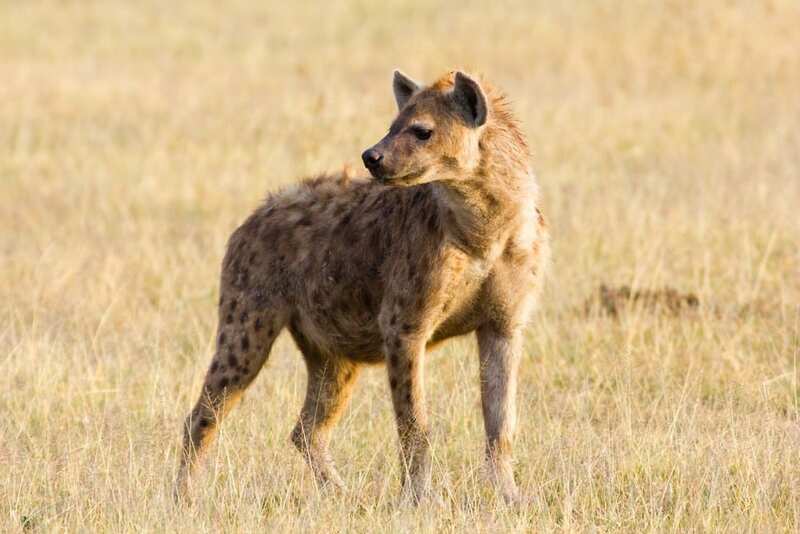 The spotted hyena is a skillful hunter but also a scavenger. Hyenas are pack animals that cause a number of human fatalities every year. They’re physically large and aggressive and have a bite that’s evolved for scavenging, so can easily crush bone and tear flesh. 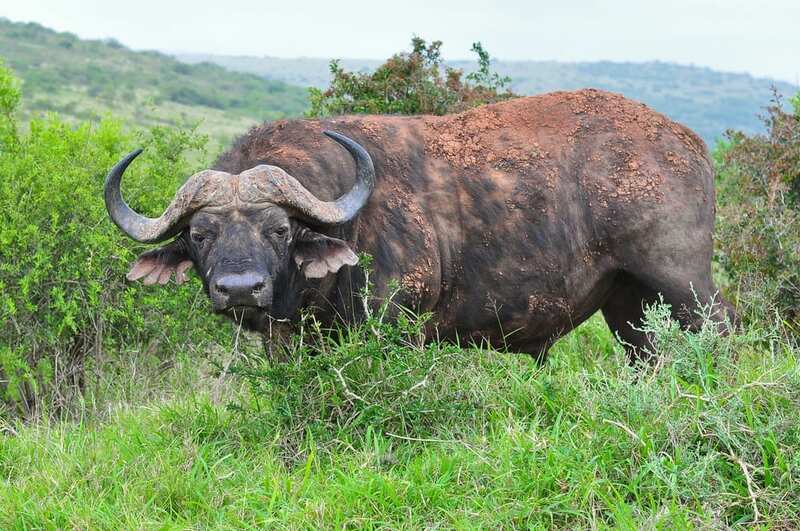 Also known as the African buffalo, this is a particularly aggressive inhabitant of the African grasslands. The Cape Buffalo is the only member of the buffalo and cattle tribe that occurs naturally in Africa. Cape buffalo have been known to charge victims without provocation. With over 2,000 pounds of weight and the ability to charge at 40 miles an hour, they are one of the most dangerous wild animals to encounter. These creatures will continue charging even if they are shot in the heart, and have no reservations about charging vehicles. They’ve also been known to attack predators like lions. Having never been successfully domesticated, throughout Africa it is known as the “widowmaker” or “black death” and is responsible for more fatalities every year than any other large animal on the continent. Lions are considered the kings of the jungle, and very rightly so. 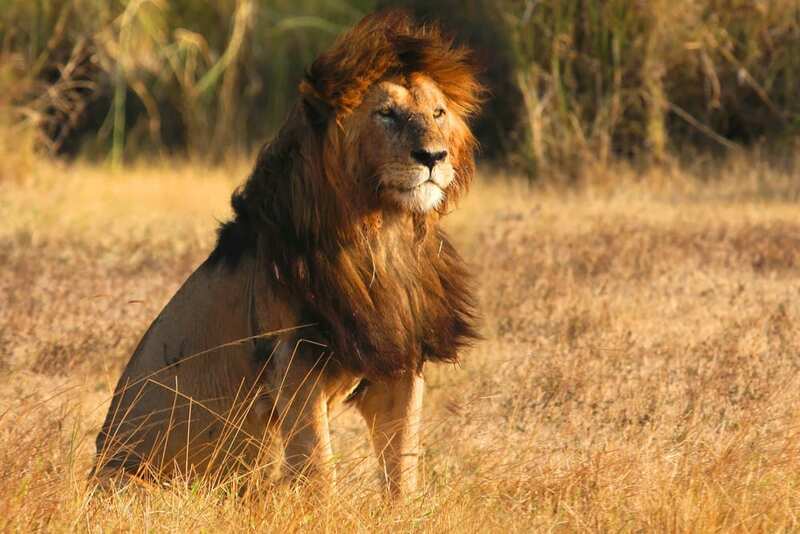 The African lion has incredible speed, razor sharp claws and teeth to attack a possible prey. They are the biggest of the African carnivores. The females usually do the hunting, and the males are lazy, busy protecting the pride. Their hunting technique includes splitting into groups, where one group chases the animal to a particular area while another group waits to ambush the victims. This technique is highly complex and precise. Their diet includes large elephants, hyenas, rhinos and even mice. This dangerous animal has attacked people on farms, circuses, zookeepers, etc., causing hundreds of fatalities every year. The world is a mystery and filled with fascinating creatures. But do keep your distance from some, like the ones listed above, when you go on a wildlife trip! No spiders, box jellies or venomous snakes? 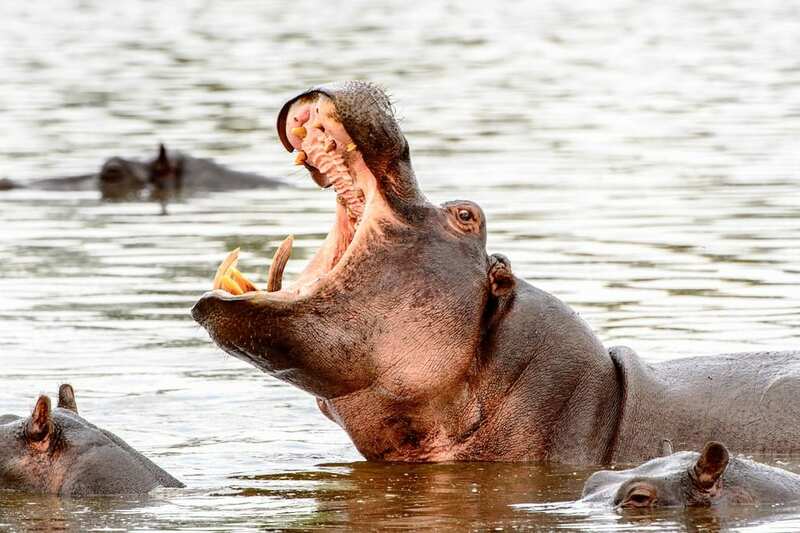 Hippos kill more than crocs but out rank them? 😀 Good list. At least it didn’t have snakes spiders or mosquitos. I hate it when lists add those!